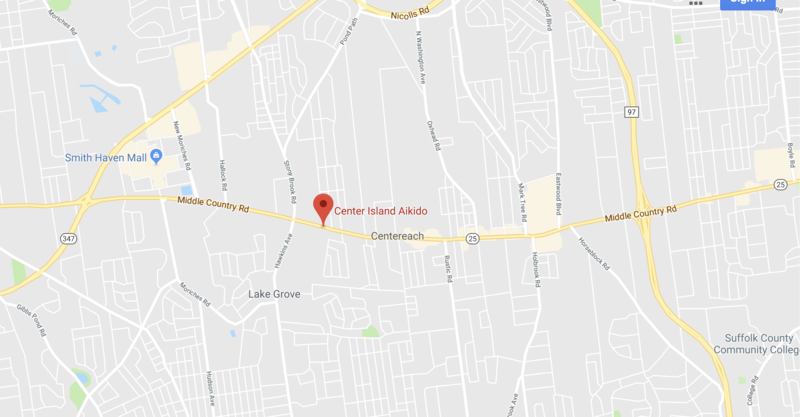 Center Island Aikido is a non-profit organization affiliated with the United States Aikido Federation, and offers training in the Ueshiba style of Aikido and Yang style T’ai Chi (short form). We are centrally located at 2758 Middle Country Road, Lake Grove, New York (2nd Floor).We are at the South side of Middle Country Road, 1/8 mile east of Stony Brook Road. Our schedule offers morning and evening classes most days of the week. No appointments are necessary to come observe a class, and our nonprofit status means that dues are very affordable.